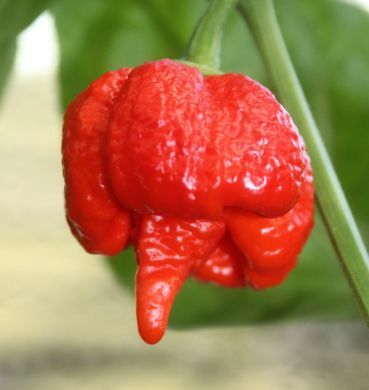 Trinidad Scorpion Moruga peppers from Ghost-Powder.com rate approximately 1,800,000 Scoville Heat Units tested by HPLC (High Performance Liquid Chromatography). Trinidad Scorpion Moruga peppers are 100% grown in the most productive region of Tinidad.Home of the Worlds Hottest Pepper. Trinidad Scorpion Moruga peppers are hotter than anything available online, the Trinidad Scorpion Moruga from Trinidad taste better and are 100% satisfaction guaranteed. Each and every Trinidad Scorpion Moruga pepper is hand-picked, de-seeded by hand, and is pampered from seeds to fruit.